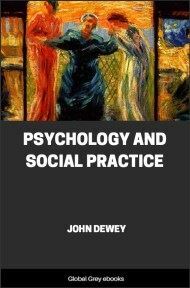 A short pamphlet published by the University of Chicago by John Dewey, who was the professor and head of departments of philosophy and education. 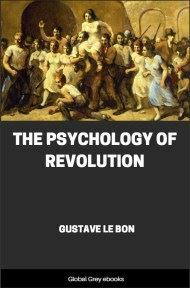 In coming before you I had hoped to deal with the problem of the relation of psychology to the social sciences—and through them to social practice, to life itself. Naturally, in anticipation, I had conceived a systematic exposition of fundamental principles covering the whole ground, and giving every factor its due rating and position. That discussion is not ready today. I am loath, however, completely to withdraw from the subject, especially as there happens to be a certain phase of it with which I have been more or less practically occupied within the last few years. I have in mind the relation of psychology to education. Since education is primarily a social affair, and since educational science is first of all a social science, we have here a section of the whole field. In some respects there may be an advantage in approaching the more comprehensive question through the medium of one of its special cases. The absence of elaborated and coherent view may be made up for by a background of experience, which shall check the projective power of reflective abstraction, and secure a translation of large words and ideas into specific images. This special territory, moreover, may be such as to afford both sign-posts and broad avenues to the larger sphere—the place of psychology among the social sciences. Because I anticipate such an outcome, and because I shall make a survey of the broad field from the special standpoint taken, I make no apology for presenting this discussion to an association of psychologists rather than to a gathering of educators. In dealing with this particular question, it is impossible not to have in mind the brilliant and effective discourses recently published by my predecessor in this chair. I shall accordingly make free to refer to points, and at times to words, in his treatment of the matter. 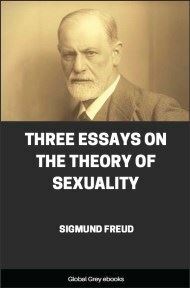 Yet, as perhaps I hardly need say, it is a problem of the most fundamental importance for both psychology and social theory that I wish to discuss, not any particular book or article. Indeed, with much of what Dr. Münsterberg says about the uselessness and the danger for the teacher of miscellaneous scraps of child study, of unorganized information regarding the nervous system, and of crude and uninterpreted results of laboratory experiment, I am in full agreement. It is doubtless necessary to protest against a hasty and violent bolting of psychological facts and principles which, of necessity, destroys their scientific form. It is necessary to point out the need of a preliminary working over of psychological material, adapting it to the needs of education. But these are minor points. 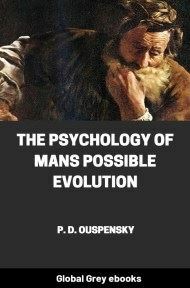 The main point is whether the standpoint of psychological science, as a study of mechanism, is indifferent and opposed to the demands of education with its free interplay of personalities in their vital attitudes and aims.